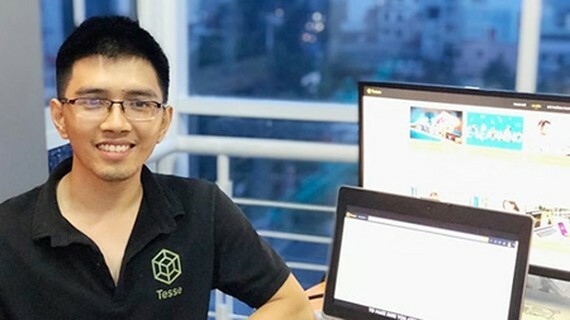 The e-learning platform Tesse, developed by 26-year-old Nguyen Pham Tuan Anh and partners, is one of the first Vietnamese platforms to allow the creation of virtual classes to upgrade knowledge of the community. 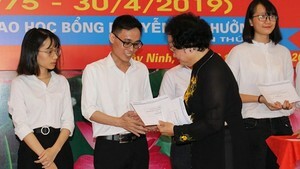 When in university, Nguyen Pham Tuan Anh, an amateur in the information technology (IT) field, often wondered why Vietnamese people did not have a good habit of consulting experts or obtaining sufficient profession knowledge before making important decisions. He therefore sought the partnership among his friends who specialized in IT to create a knowledge sharing platform so that people could easily approach new information by searching, connecting, and interacting with experts. That was the beginning of Tesse. At first, he and his partners encountered various obstacles, from the doubt of the public in using a domestic IT product or the fear of trying something new to the unfamiliarity to the e-learning concept. At that time, not even 10 percent of the society were aware of virtual learning on the Internet. Recalling the memory of those days, Tuan Anh shared that Vietnamese IT engineers are in no way inferior to their international counterparts, yet they seriously lack confidence to startup by themselves. In October 2018, Tesse was first launched onto the domestic market as an e-learning tool. It allows smart device users to search and register for virtual lessons taught by professionals, or to create a new learning community in diverse fields and levels. Until now, via Tesse, members can take advantage of several technological tools like video call, chat group, message and email to connect to one another for educational purposes. Tesse also offers a wide range of classes and experts via its powerful search function. Users can enter keywords for certain skills, knowledge, problems, and Tesse will display recommendations on related experts or professional articles. From this, these users can choose to make a chat or video call directly to those listed experts for further consultation. At the moment, Tesse has more than 7,000 members, including 10 international professionals. The prominent feature of Tesse is that its online classes allow an unlimited number of participants. It is expected that at the end of this April, Tesse will introduce the new function of testing when a class ends in order to issue a certificate for learners. The website is also going to include more fields like programming, trading, finance, or self development to serve a wider educational demand of users.